I like a bit of quirk with my dresses, either as a cute print or an unusual detail. I like something a bit different in my dream dress. Take for example this cute bicycle-print dress from Anthropologie. It has the quirkiness in the pattern and yet a gorgeous silhouette that tucks in at the waist, it is very feminine too. 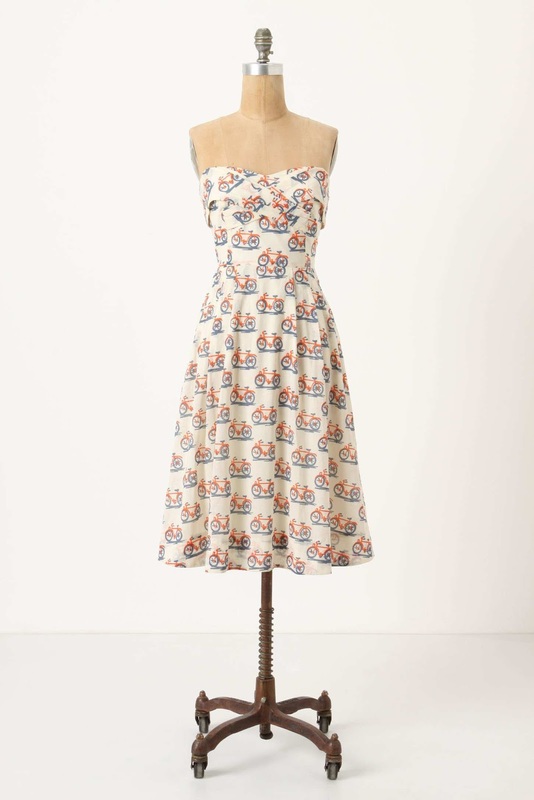 I foresee romantic bike rides, frolicking picnics and whimsical strolls through old English towns in this dress. OK, maybe I'm getting carried away a little. It's just a dress. And at £128 it is certainly on the pricey side for me. But it is definitely an investment dress. I could see me wearing this all summer, and for many a summer in the future.